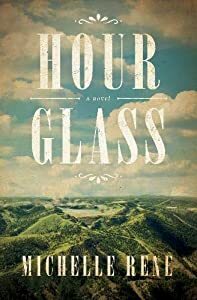 Set in the lawless town of Deadwood, South Dakota, Hour Glass shares an intimate look at the woman behind the legend of Calamity Jane told through the eyes of twelve-year-old Jimmy Glass. Now Cas must decide, should she reveal her secret to Joe and take her chances or should she continue her charade and let him drift on out of her life, when the job was done? This presented a challenge to Cassie, and having never been one to back down from a challenge, she does not intend to now; although she's well aware that in this instance, she might bite off more than she can chew. But Cassie realizes she’d give up everything if it means having Joe in her life, permanently. She wants to go riding with him, all things considered, riding with Joe will be, one hell of a ride! Readers' Favorite Book Award Winner Bronze 2018. 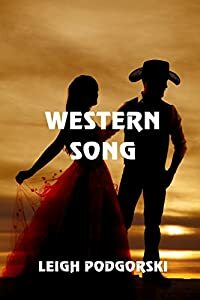 Contemporary Western Love Story about a bull riding rancher and his deceased best buddy's Thai immigrant mail order bride. As she discovers the power of freedom, he discovers he's lost his heart. Ray Simmons, Readers’ Favorite: “Blood Moon: A Captive’s Tale by Ruth Hull Chatlien is a powerful tale. 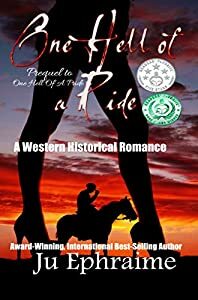 Part of the strength of this novel is the fact that it is based on a true story and Ruth Hull Chatlien tries her best to be true to that story. And I must say that her best is very good indeed. 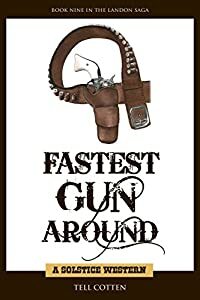 I have been a fan of Westerns since I was a small boy. My dad loved them too and some of my first and best memories of being together as father and son are of sitting in front of the TV together, watching Gunsmoke. 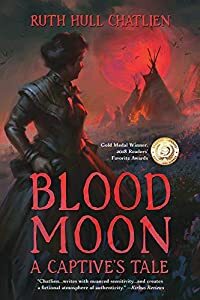 But to be honest, I consider Blood Moon more of a historical novel than a Western. A good part of it, maybe the best part, is the depiction of Native American family life. The contrast between her own domestic situation and the situation she finds herself in as a captive is something I haven’t come across in many other novels. Rondo Landon is on his way to Midway, Texas, when misfortune strikes. Meanwhile, Lee Mattingly and Brian Clark have their own problems as they meet their new business partner. It isn’t until their paths cross that they realize their troubles are connected, and they join forces. Along the way, they encounter new enemies, revenge, relationships, and an odd horse. 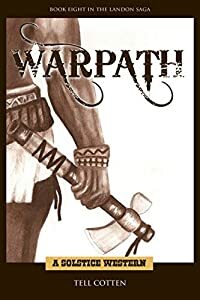 The Maynwarings has received the following recognition: Finalist in the Readers Favorite Book Awards 2015, Winner of the USA Regional Excellence Book Awards in 2015 and 2016, Finalist in the Beverly Hills Book Awards 2015, Finalist in the National Indie Excellence Awards 2015, Winner of the Indie Reader Discovery Awards 2016, Is Indie Reader approved, and received 5 stars on Readers Favorite. 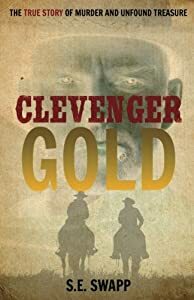 Politics, Scandal, Gold, and the biggest cattle ranch in the Old West...the Maynwarings of the Greenbrier battle to keep what is theirs, preserve a way of life, and protect the future. 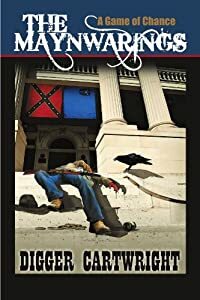 Barron Maynwaring, patriarch and United States Senator from Nevada, returns to the Greenbrier ranch only to be embroiled in a political smear, cattle rustling, the murder of their neighbor, and the lynching of their long-time friend. When a mysterious stranger starts acquiring property, suspicions are aroused as to what his plans really are for Carson City. The Maynwarings struggle against bad publicity to stop covert forces from changing the future of the area. When United States Senator Barron Maynwaring returns to his family and his beloved ranch, the Greenbrier, much has changed in Carson City. Family friends have taken to gambling. Cattle rustlers have increased activity around the massive ranch. A mysterious stranger, Giddeon Van Thorn, has arrived in town on secretive business. A political opponent and the press have launched attacks on Barron and his family. When Dan Arkin, the Maynwarings' neighbor, is murdered, suspicion immediately turns to Jeremy Foster, a loner who had threatened Arkin after a crooked card game. When the posse led by the Maynwarings turns into a lynch mob, against their will, and Van Thorn's men hang Jeremy Foster, Barron's daughter Mary Catherine, the Carson City solicitor, launches an investigation of her own hoping to learn why the strangers wanted Foster dead. As Van Thorn attempts to buy up property in Carson City for a massive redevelopment, Barron's son, Stokes, a city councilman, attempts to block the slick businessman's plan that seem more than meets the eye. 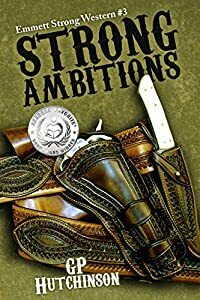 As they seek answers to Van Thorn's true intentions and dark background, the Maynwarings are stunned to learn that Jeremy Foster's brother has arrived in Carson City seeking revenge for his brother's untimely death. As bodies mount and the Maynwarings are bushwhacked, it becomes apparent that a sinister game of chance will determine the fate of The Greenbrier and the future of Carson City...yet in this high stakes game of chance nothing is as it seems! This is the true story of the Clevenger family from Arizona Territory, and their unfortunate events as they trekked north to Washington Territory. Once the old, cantankerous Sam Clevenger and his wife, Charlotte, hired Frank Willson and John Johnson to help with the move, their fate took a dark turn. 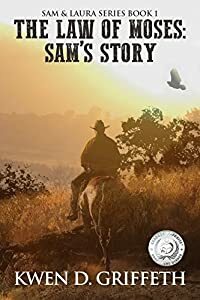 These true events were documented by journalists through the 1887 trial and well into the 1900s, and stories have been told of Sam’s unfound treasure for nearly 130 years. But, this is the first detailed, documented, and vetted account of their bizarre and fascinating tale. When Rondo Landon discovers his wife has been taken captive during a daring Indian raid, he’s determined to find her. April Gibson is also taken, and the Landons, Lee Mattingly, and others take out after them. Along the way, they encounter someone from the Landon’s past, a war chief out for blood, a thunderstorm, relationships, and tough decisions. ˃˃˃ Law of Moses is the AWARD WINNING, first book in the Sam and Laura series. It will captivate and inspire readers from all walks of life!